Yesterday was my 22nd birthday. JD spoiled me with breakfast in bed, gifts, lunch at Fuddruckers, pedicures, and dinner at Brick Oven. Birthdays are always a time of contemplation for me: Am I living my best life? Am I living the way I want to? Am I doing good in the world? How can I make this year better than last? 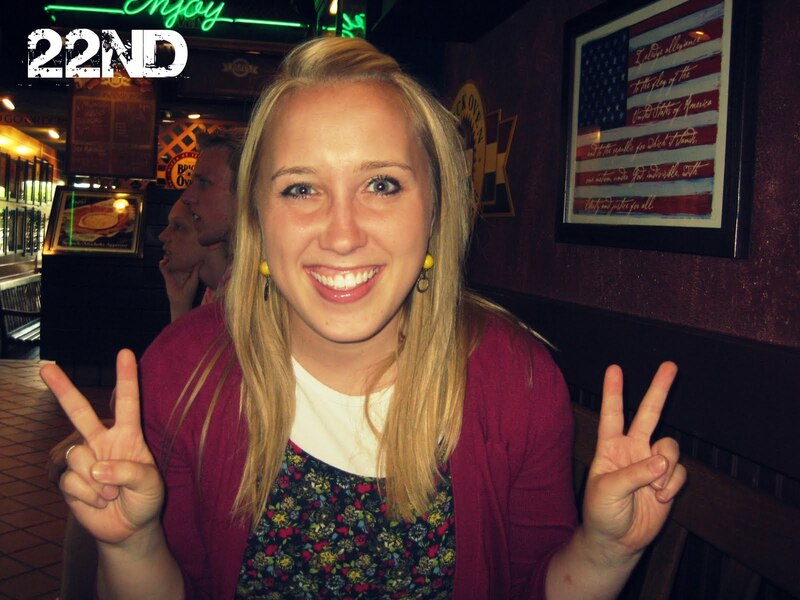 It blows my mind I've lived on the earth for twenty-two years. I haven't always been the best at recording my life. . . in fact, I can't even remember what I did for my birthday before age 16. I know one year in middle school I had a girly sleepover when my mom was out of town and decorated my room with streamers. And one time when I was really little I had a party by a big lake and got a Barbie from my Papa's family friend. But I was thinking yesterday about birthdays and it makes me sad I can't remember that far back. 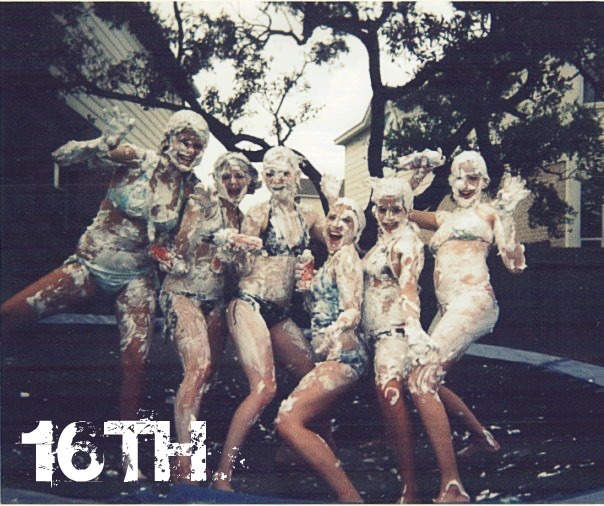 On my 16th birthday, I had five of my friends from school over for a shaving cream war on our trampoline and we stomped around my neighborhood in our swimsuits and barefeet. One of the most memorable, for sure. On my 17th birthday, I went downtown to San Antonio and ate at Hard Rock Cafe with Tiffany, Taylor, Alisha, and Gaby. (My scrapbook at home has the pictures, but my computer apparently doesn't). On my 18th birthday, I was up at BYU and my new dorm friends, Paige and Alli, made me a pink cake and sang to me in the lobby of our hall. 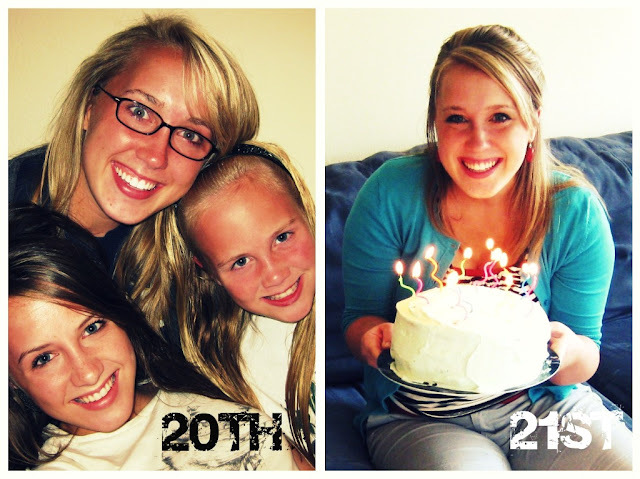 On my 20th birthday, I sat at home with my family and they sang me the birthday song. I skyped JD and dreamed of our wedding 20 days away. 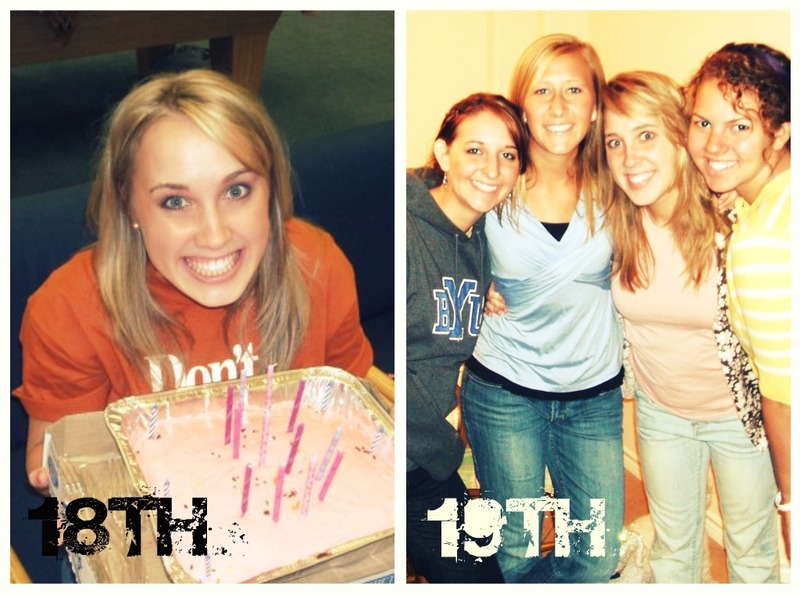 On my 21st birthday, we lived in Washington DC and our friends, Jordan and Brittany, planned a surprise party with JD. On my 22nd birthday, I got my toenails painted red and bought a bright purple dress.